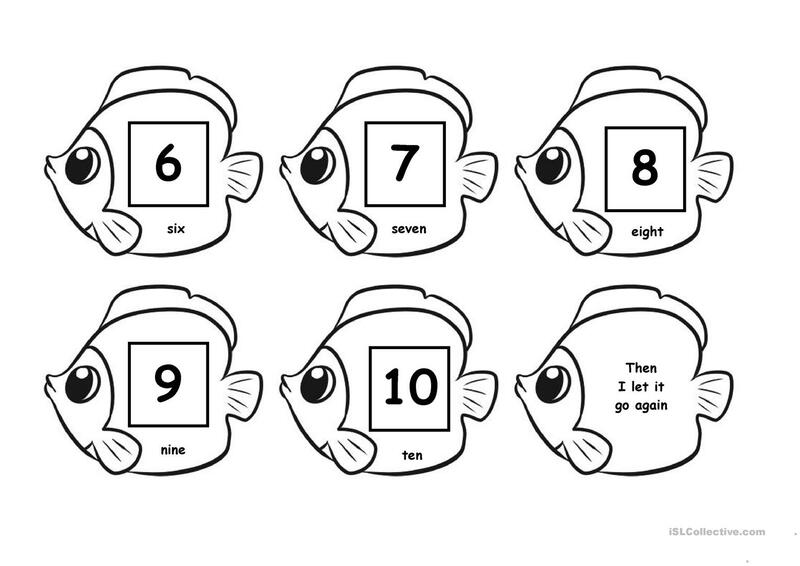 - Numbers from 1 to 10. 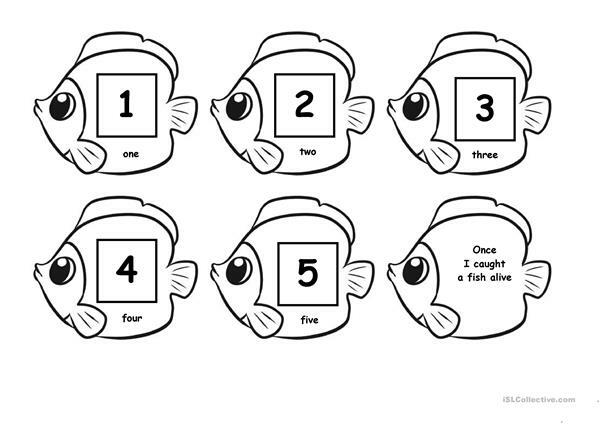 - Nursery rhyme: "1, 2, 3, 4, 5... Once I caught a fish alive"
The present downloadable handout is meant for kindergartners and nursery school students at Beginner (pre-A1) and Elementary (A1) level. 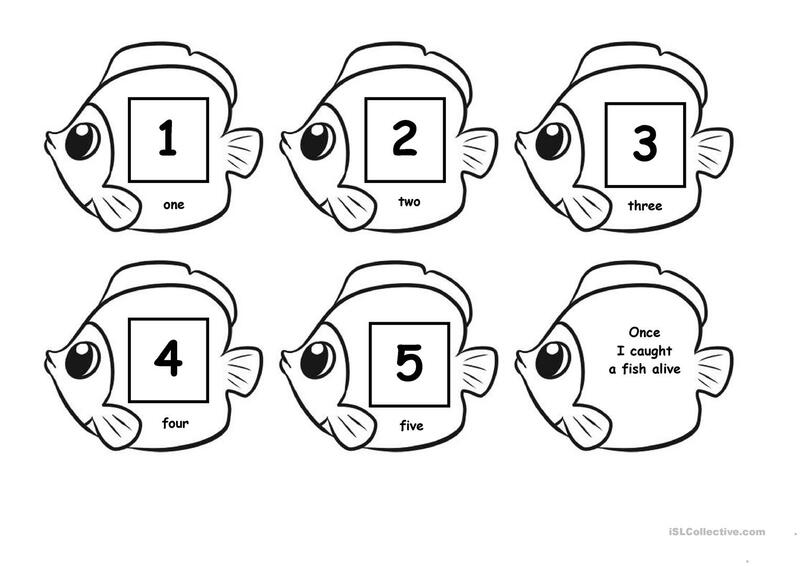 It is useful for strengthening your groups' Spelling and Reading skills. 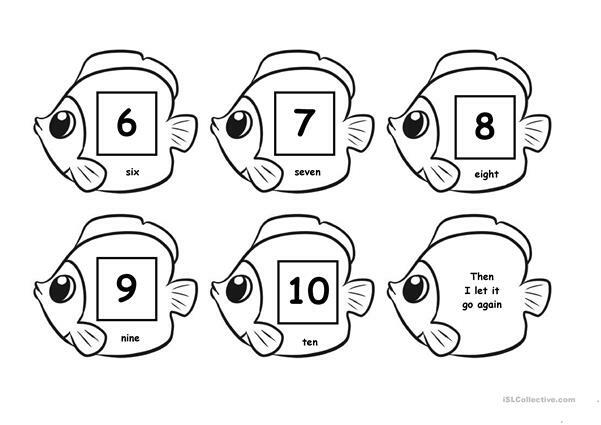 It is focused on the vocabulary topic of Numbers.